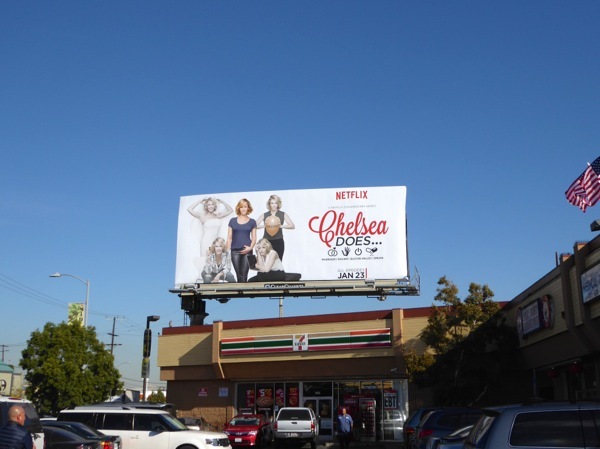 In her new four-part documentary series, Chelsea Handler turns her sharp wit and irreverence onto subjects like marriage, racism, Silicon Valley and drugs. 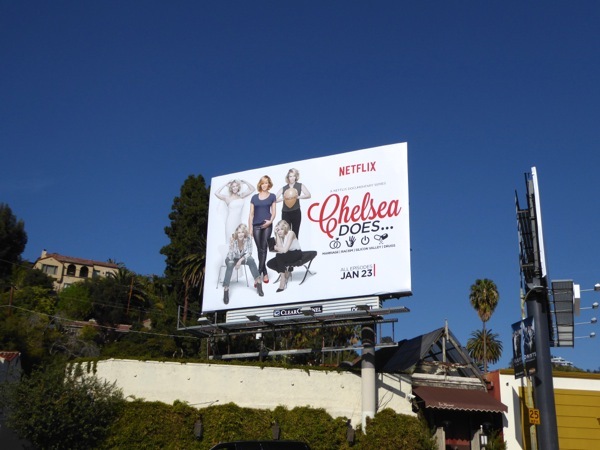 Part reality TV show and part documentary, Chelsea chats with her celebrity friends and family on the topics and then explores the subject more directly, from taking drugs in Peru, trying on wedding dresses, to interviewing the founders of the marriage cheating website, Ashley Madison. 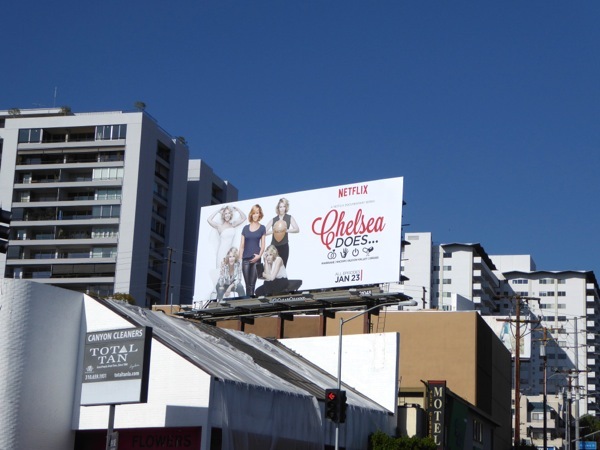 These Chelsea Does series launch billboards were spotted along the Sunset Strip, above Santa Monica Boulevard and La Brea Avenue from January 24 to January 28, 2016. If you're a fan of the comedian, you really have to also check out this fantastic Lion King parody billboard for her Uganda be Kidding Me comedy special on Netflix. After this fine start, it will certainly be interesting to see what Chelsea does next (including her long rumoured Netflix talk show).